The style of spirit produced at Isle of Raasay has long been defined by founder Alasdair Day. A long fermentation and plenty of copper contact, including a cooling jacket on the wash still lyne arm and an inclined lyne arm on the spirit still, will result in a clean, fruity character with an element of smoke imparted by the lightly peated malt. 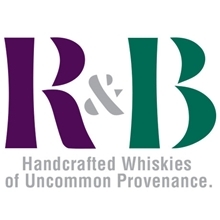 R&B Distillers intends to make full use of maturation in first-fill American oak, European oak and Tuscan red wine casks – a nod to the origins of Raasay’s stills. Isle of Raasay’s signature whisky may be a fruity, sweet and lightly peated malt – as seen in its pre-emptive release, Raasay While We Wait – but the distillery’s configuration has been created to allow for experimentation with fermentation and distillation. Therefore we can expect to see a variety of styles from this small island distillery. 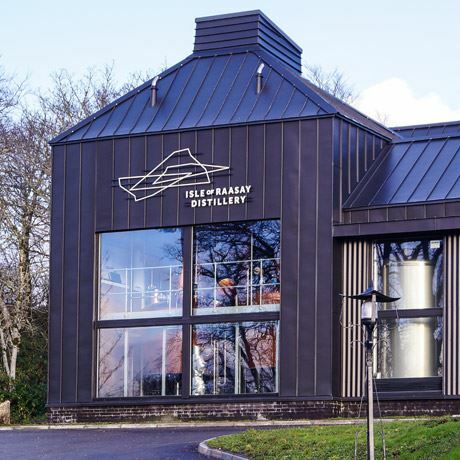 R&B Distillers co-founder Alasdair Day had intended to build his first distillery in the Scottish Borders, near to where his great grandfather blended whisky in a grocer’s shop. Day and business partner, internet entrepreneur Bill Dobbie, were in need of a plant to supply malt whisky for their Tweeddale blend. However it was a recommendation from a friend that led the duo to consider the Hebridean island of Raasay for their first project. 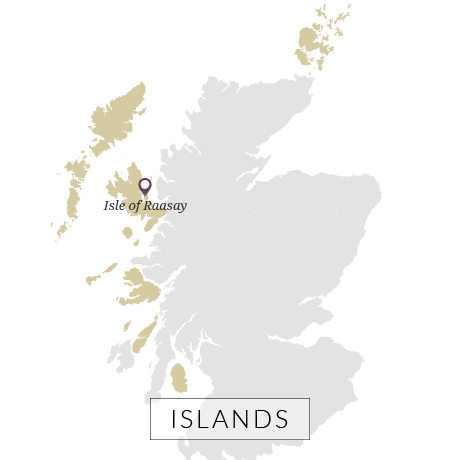 The island not only represented a prime opportunity in terms of location, but never before had Raasay been home to a legal whisky distillery. The company secured the vacant Borodale House in 2015, a Victorian building most recently used as a hotel, and is currently in the process of renovating the site into a distillery and visitor centre with accommodation for members of its Na Tusairean whisky club. 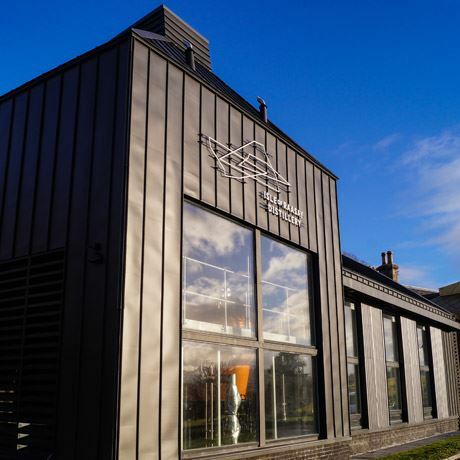 The distillery’s first test mashing and distillation runs were conducted in September 2017, days ahead of its official opening on 16 September. The first casks will be filled by the end of the year. In anticipation of the distillery’s first whisky in 2020, R&B created Raasay While We Wait in 2015, a peated Highland single malt that’s reflective of the spirit Raasay distillery will soon produce. Lantern, descending lyne arm (with cooling jacket).